It’s all luck of the draw, right? Here are some important facts… I’ve entered four race lotteries in the past five years. I put my name in the hat for the 2012 NYC Marathon, results? Didn’t get in! I put my name in the hat for the NYC marathon for 2015. Results? Didn’t get picked. So, from the state in which I was born, my record is 0-2. 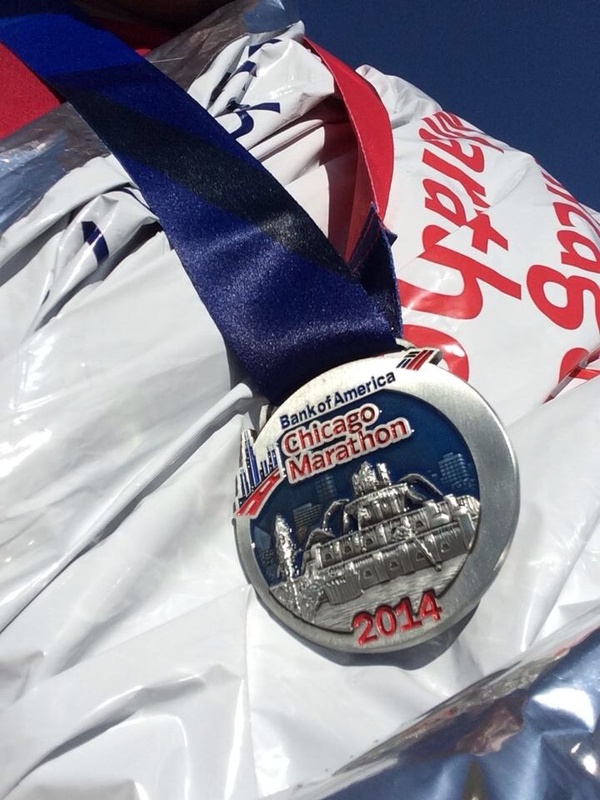 I entered the lottery for the 2014 Chicago marathon. The results? I entered again this year, and BOOM! The email came early yesterday morning, that low and behold, I am IN, again! So my record for Chicago? 2-0. Chicago must be my kind of town! I can go back! I had the time of my life in Chicago last year, and I would love to return. Now, I just have to figure out how I can do it. 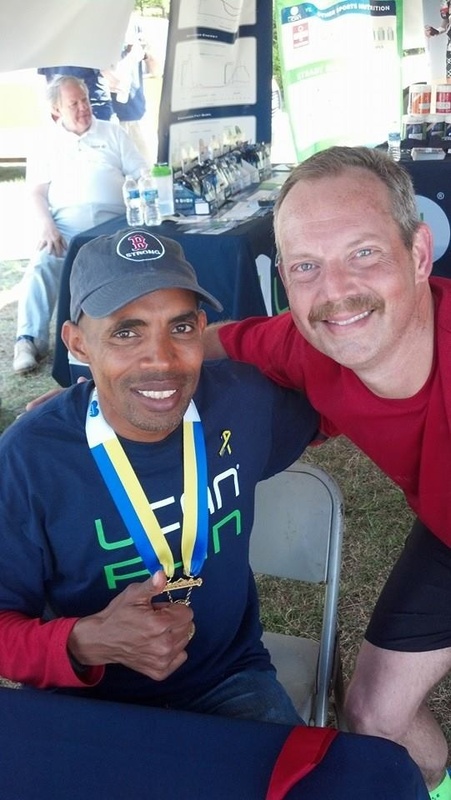 I would love to be able to get lined up again with the thousands of runners, and experience the million fans alongside the course. I just now have to look at my budget, and figure out if I can swing it. And, I won’t in good conscience, head off to Chicago unless I meet my fundraising goal. You see, for those of you that missed my posts about NYC. My utter disappointment in the fact that I didn’t get chosen again for New York, I decided to look into running for charity. I reached out to a charity foundation that had some meaning to me. 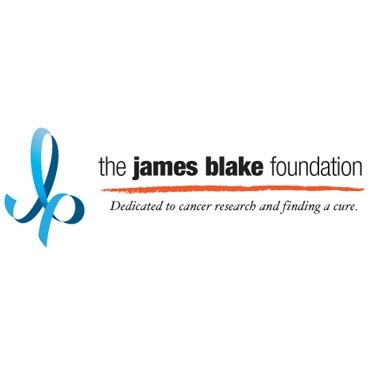 I reached out to the folks at the James Blake Foundation, a charity raising money for cancer research, and they accepted me onto their marathon team. I had to pay for my race entry (it wasn’t free), and I accepted the challenge to raise a minimum of $3,000 for this charity. I kicked off my fundraising with a $100 personal donation to the charity. To date, through the generous donations of friends, family and fellow runners, I’m nearing $1,000 toward my fundraising goal. But, I can’t reach my goal without more help. Help from folks like you! People reading this blog post, folks I interact with through social media. Will you please consider a donation in any amount to help this cause? 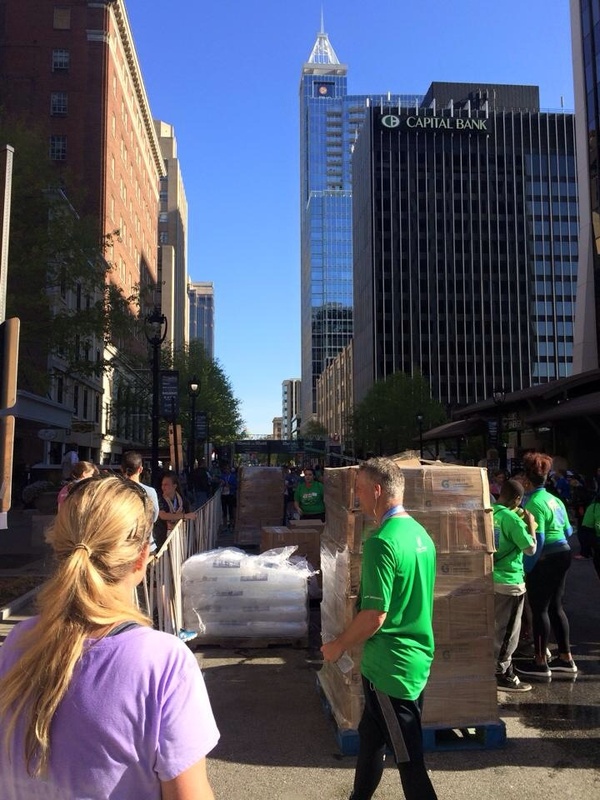 You can donate by clicking on the following link… Thank you! 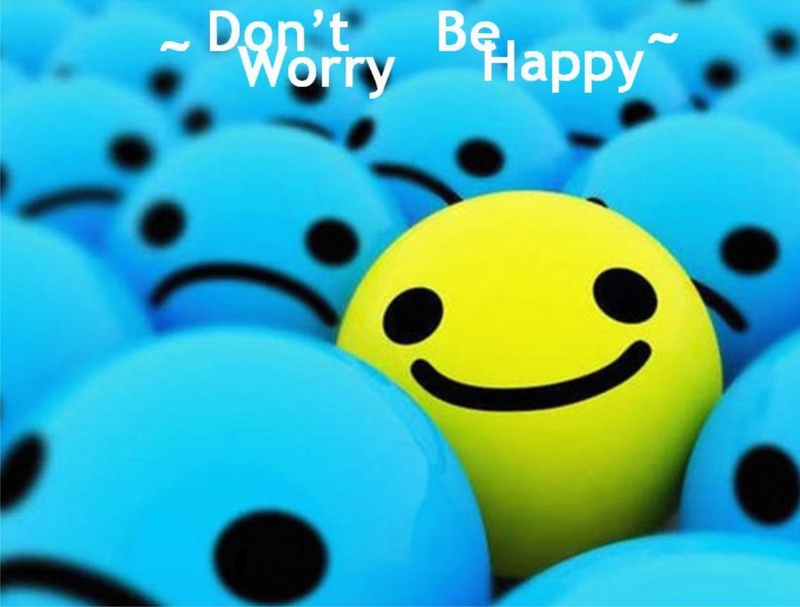 Don’t just visit happiness, LIVE IT! Life is not always easy. It is never certain, most times unclear. 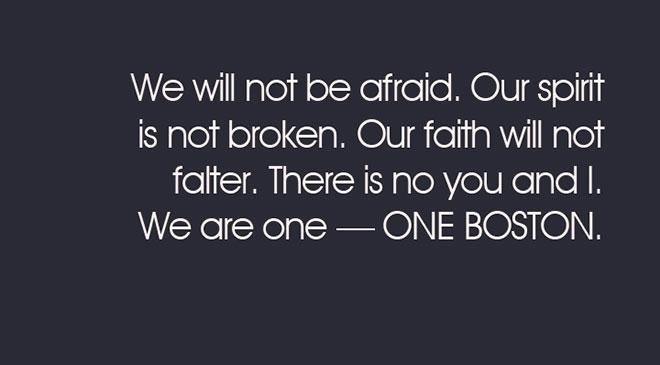 We live in a world of earthquakes, floods, war, death, inequality, racism, hunger, divorce, poverty. Many aspects of life challenge us as human beings every day. We must push through and persevere. Isn’t life full of amazing wonders though? Sunshine, family, nature, love, warmth. The list is endless. Sometimes it is very difficult to watch the news these days. It seems that most of the time the world is focused on what’s wrong. I wish we could focus more on what’s right with the world. We need to smile, and laugh, and love. Hug your loved ones. Be polite. Care for your neighbors. Reach out and help strangers. Uplift, and enjoy life. We only have one life to live, and doesn’t it make more sense to be kind? Let negativity go, or use it to inspire positive change. Wouldn’t the world be a better place if more of us smiled? Live in your happy place today, and every day. Today is the day! The biggest Monday in our sport! Patriots’ Day, the third Monday in April. 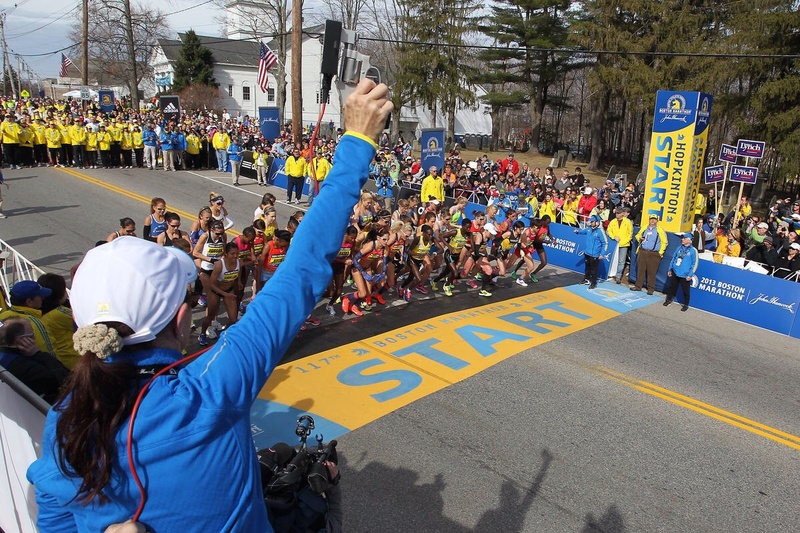 A little race known around the world, the Boston Marathon was established in 1897. Back then, with 18 participants, the event has grown to 30,000 plus. It’s The Race! The race we all want to run. One of the six World Marathon Majors. The Big Six includes Tokyo, Boston, London, Berlin, Chicago and New York. To this point I have only run Chicago. Later this year I will be adding New York City. Maybe Boston in 2016. 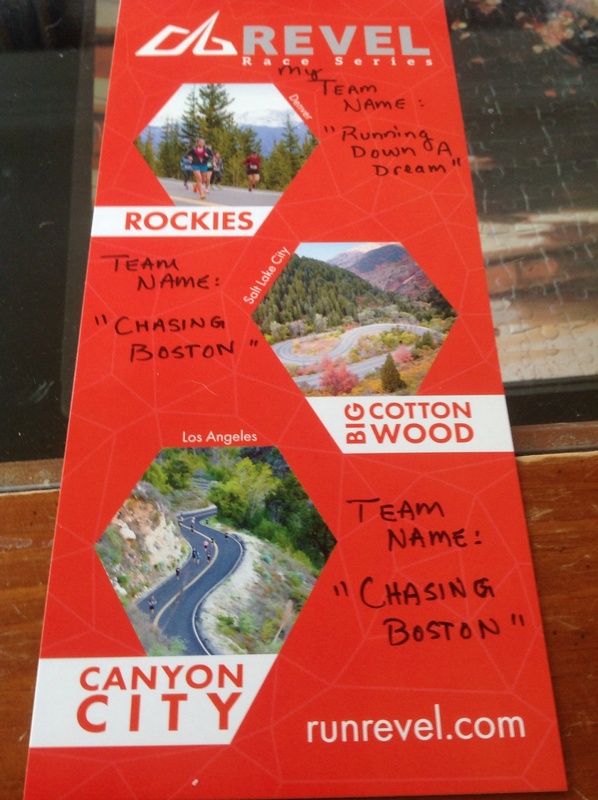 Wouldn’t it be a great goal to run each of these six marathons? For me, it would include some international travel, but would be so fun to partake in each of these events. Now two years since the horrific events that marred the marathon with bombs, death and destruction of lives and families, the healing continues. The focus is what it should be, the runners. I know I wish I was in Boston this morning. I will be watching though, via live streaming. I am hoping for an American sweep, of course. I would love to see this awesome guy win again! Who will you be cheering on today during the race? Two weeks from right now I will be closing in on the finish line of my 19th marathon. May 2nd is only two weeks away, and I will finally be running a marathon that has been on my radar for a few years now. Currently tapering for what will be a battle in the woods, along the river and over hills in quiet, serene surroundings. I am SO looking forward to a small and beautiful race, a race where the only competition I will be competing with is myself. The past few years I have ended up choosing races that interfered with this one, so it’s finally my year to join the runners in Todd, NC. 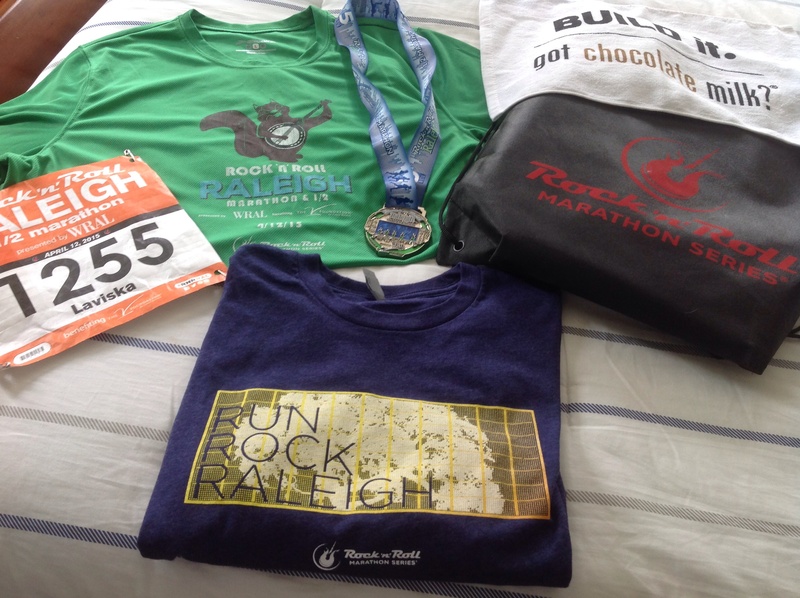 I am missing the Blue Ridge Marathon, and/or Tarheel Ten Miler which are both running today. 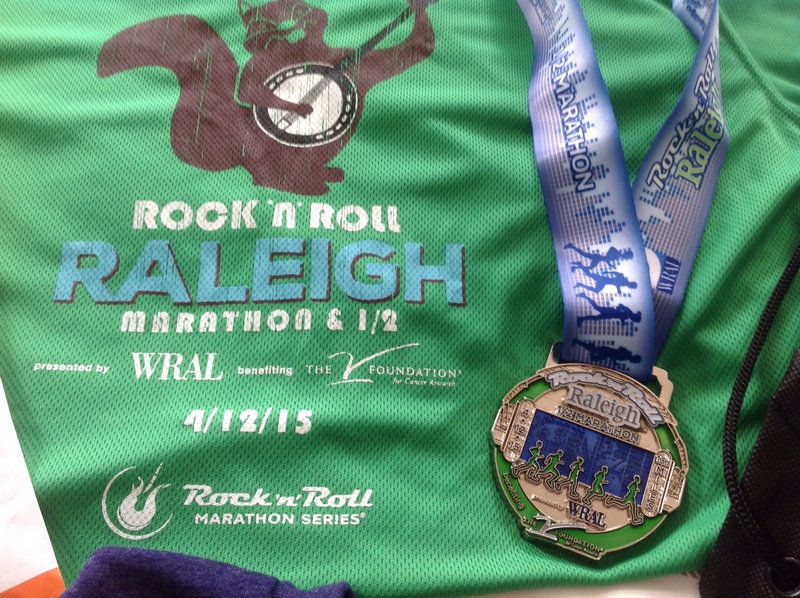 I chose to run the half instead of the full for last weekends Rock ‘n’ Roll Raleigh. All in preparation for the New River race. There’s something to be said for big city races, large crowds and thousands of runners, but this race will be far from that. 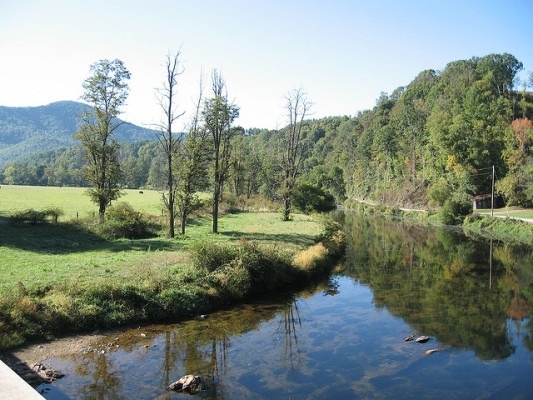 Located in a small rural town in the mountains of North Carolina, the New River Marathon, Half and 5k is a small, cozy affair. I’m already looking forward to the drive up there, and the small country feel of the race. The atmosphere will be great, I’m sure. As I’ve said before, so often we run with not only our feet, but our eyes. This marathon will be beautiful! I have no specific finish time goals for this race, as it is not an easy race course. My one and only goal is to enjoy the run. The 26.2 mile run. All words that any marathoner loves to hear! Revel Race Series has all of these, and much more. Like free race photos, free personalized highlight videos, great medals and race shirt. 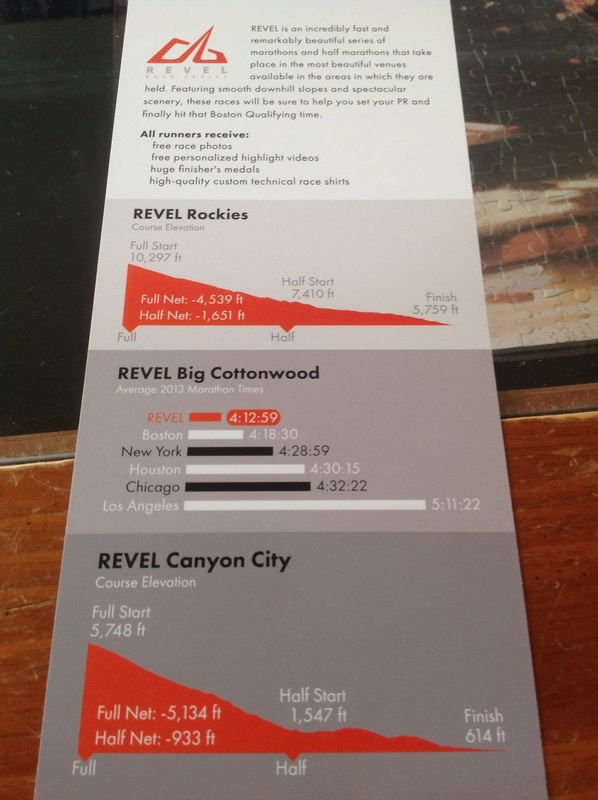 Price increases are next week for the race in Canyon City and the Rockies event. If you register before the increase, you instantly save $10. You can save an additional $10 if you join any of the teams I have created for the three Revel Races this year. Anyone can join my teams. Half Fanatics, Marathon Maniacs, BQ seekers, anyone. We don’t have to run together, but we can save money together by being on a team! 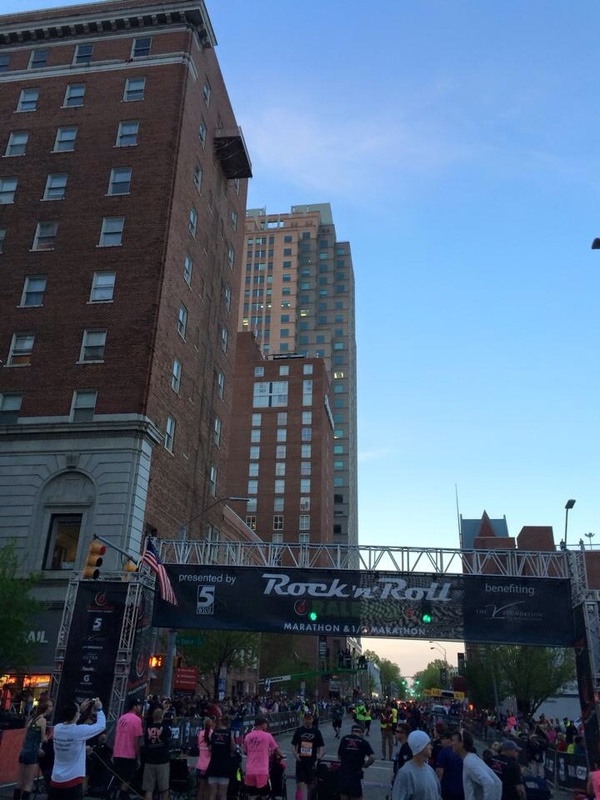 The most beautiful of Spring days ushered in and welcomed thousands of runners to Raleigh for the second annual Rock ‘n’ Roll Marathon and Half yesterday. A bit of a chill and breeze in the air as I easily found a parking spot downtown. The day had much promise! I had made the decision to run the Half this time around, and I really was happy with my choice. 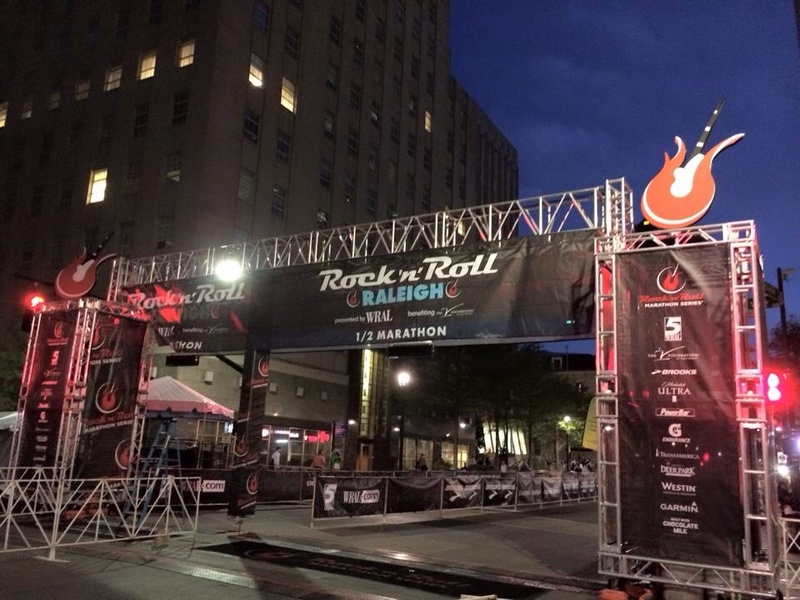 I arrived downtown about a hour and fifteen minutes before the race was to begin at 7am. Stretching and hydrating, I felt pretty good. I hadn’t gotten much sleep, but surprisingly felt some good energy. I knew I wanted to take some photos of the starting area, so I made my way over to the start just before 6:30. The crew was furiously setting up the finisher village as I passed by the finish line. 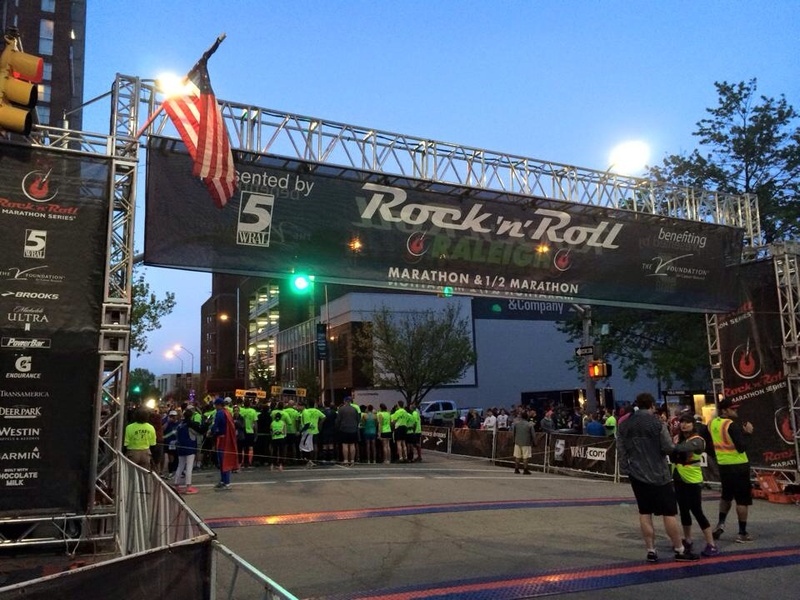 Like a well oiled machine, the volunteers and folks with Rock n Roll had it under control. Corrals, main stage, signs everywhere. It was pretty impressive. I didn’t use bag drop, but that was going in full swing. Runners starting to gather in big crowds, they started filing into the corrals. 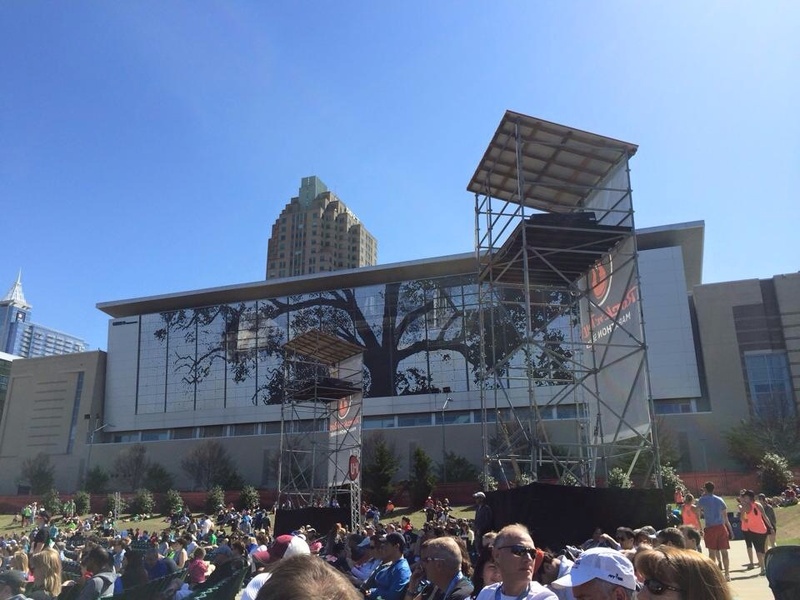 I was in Corral 1, so had a great view of the main stage where they were making announcements. 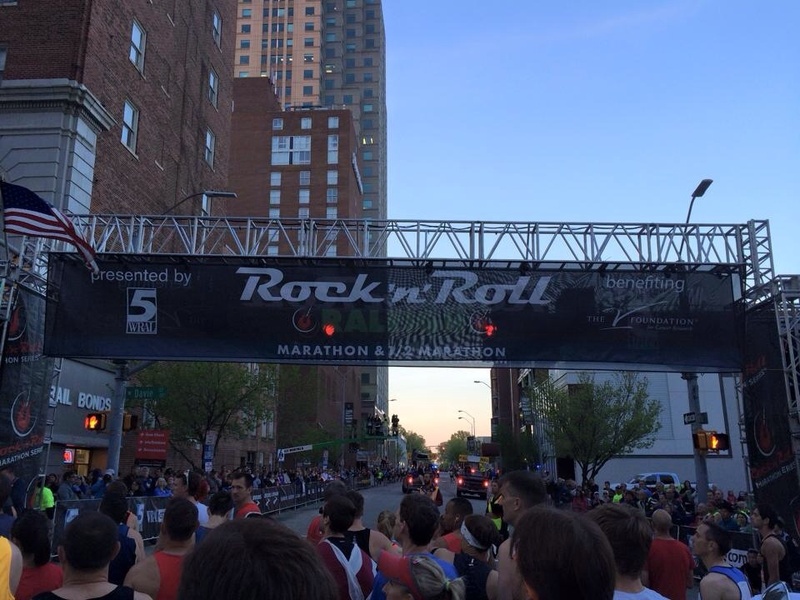 The National Anthem was sung by a guy who was there running something like his 65th marathon. He did a fine job! As the countdown clock was nearing zero, I snapped a few photos. Unlike my last race three weeks ago, I didn’t trip and fall prior to this run. I wasn’t battered and bruised at the start, although my leg still isn’t fully healed. All I really had to do was down my GU fifteen minutes prior, and tighten my shoe laces one last time. 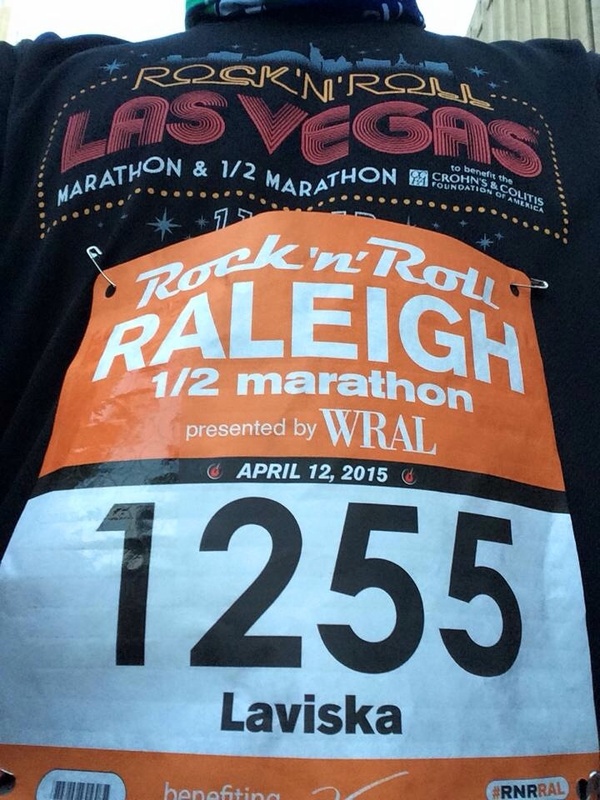 I had decided to wear my RnR Las Vegas marathon shirt for this race, and snapped a picture right before the start. Promptly at 7am, the race began. Unlike most races, this time I used both my Garmin and Runkeeper on my phone to track my run. I wanted to track my splits at this race because of the unending hills. 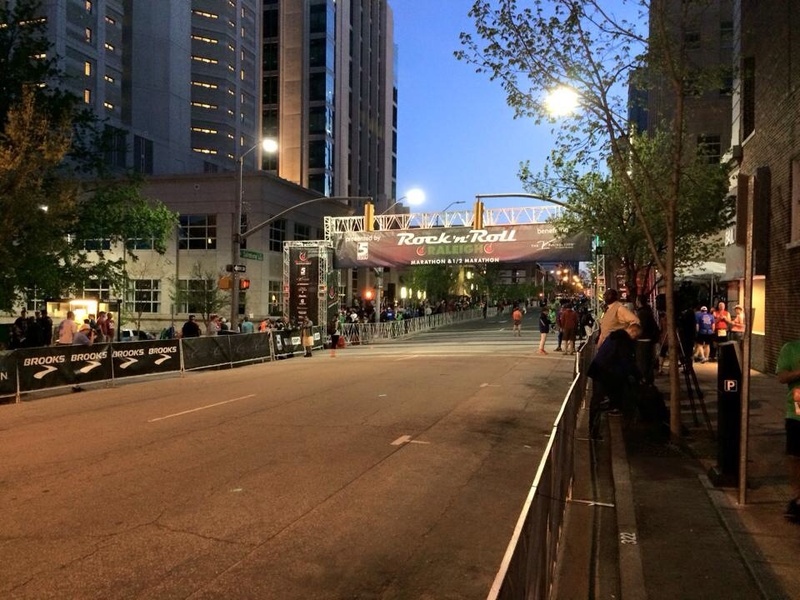 Because this event is not homegrown, and draws in folks from all around the country, the course incorporates many of the iconic sights around the city. 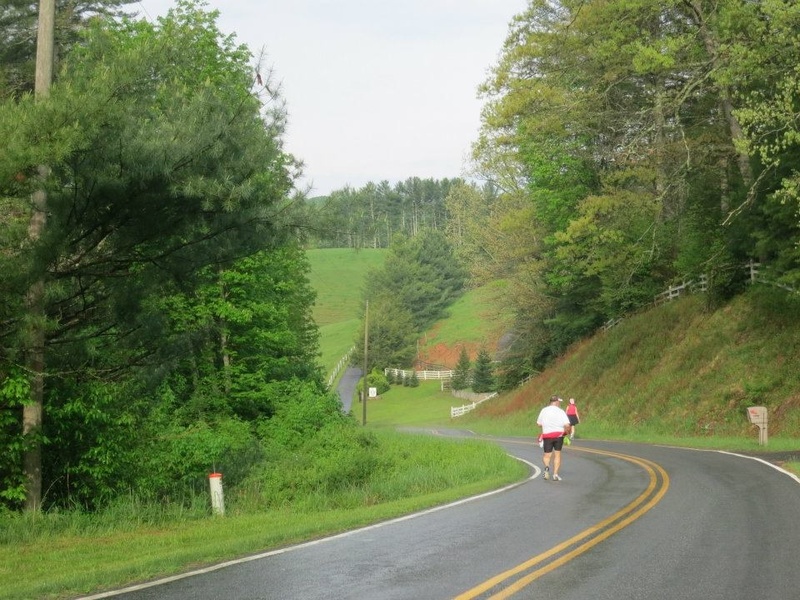 Due to the nature of trying to include all of these sights, runners get the best of Raleigh’s hills right alone with it. Local races typically try not to include every difficult hill in the city, as a course will draw more runners the flatter it is. 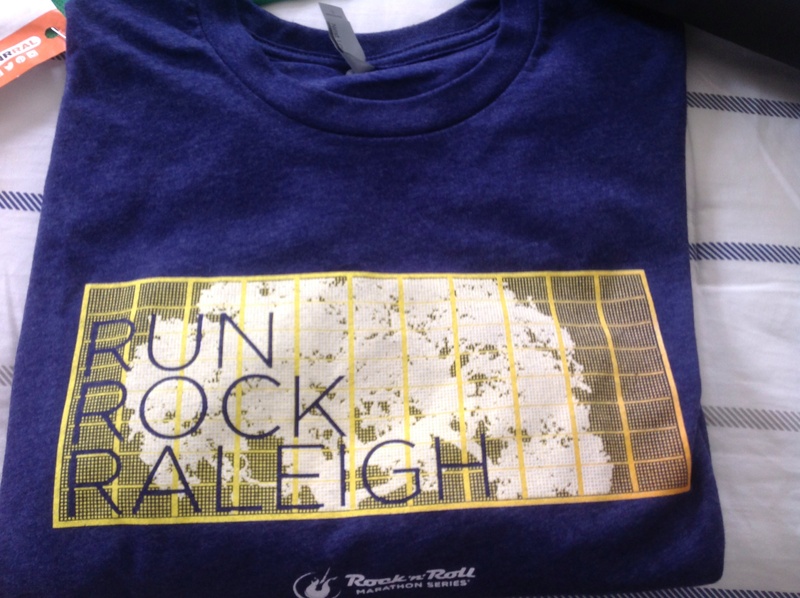 So, with that said, if you are looking for a flat Half or Full marathon, Raleigh is not the city to scout out for races. It’s a perfect place though if you like to train on hills! And I do! The course this year was more well supported with aid stations than last year. I never felt the least bit dehydrated, as water/Gatorade stops were aplenty. I cruised along through the first few miles downtown. I felt pretty good. The first five miles, full of ups and downs, I maintained a pace under 8:00 per mile. It wasn’t until mile 6 when my pace hit 8:20 that I knew the hills were taking a bit of a toll on me. I felt good though, and really enjoyed all of the music and entertainment along the course. I really think that there were a lot more spectators all along the course route this year. The constant cheers were so appreciated, especially along some of the tougher uphill stretches. Traversing Peace St. toward Cameron Village is certainly one of the toughest parts of this course. I ran mile 7 in 8:26, and mile 8 in 8:57. Yes, the hills played a big roll in those times. My overall pace was now over 8:00 per mile, and that was my goal for this race. I was shooting for a 1:45:00 finish, so if I wanted to achieve that, I would have to now make up some time. Mile 9 brought us to the Bell Tower at N.C. State. I had sort of pre-arranged seeing my older son here at the Bell Tower. He wasn’t sure if he would be on campus that night since a couple of his buddies were in town for the weekend, and sure enough he wasn’t there. Bummer! We made the turn onto campus and down Pullen Rd. I had found a bit more of a boost in energy here, but knew my miles running sub 8 were gone. I was just trying to keep focused on running smoothly. After that nearly 9 minute mile 8, mile 9 was 8:21, followed by an 8:06 mile 10. 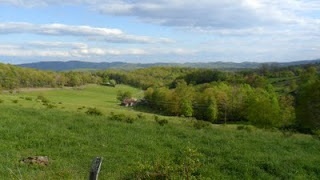 The beauty of Spring in North Carolina was everywhere. Azaleas are in bloom, dogwood trees full of whispy white and pink flowers. Spring brings pollen, but the weather this year wasn’t as warm during the race, so it didn’t feel as bad this year. 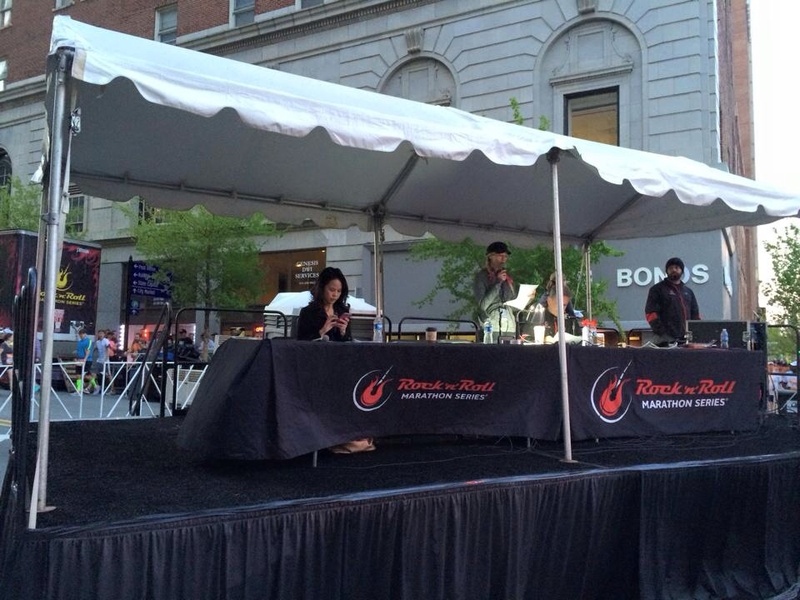 Temperatures were probably about 55 to 58 degrees, and felt a bit warmer in the sunshine. Heading toward the stretch on Dorthea Dix campus, I knew that the “Wear Blue to Remember” dedication was upcoming. I looked forward to seeing it, and being inspired. Right as I approached the flags, photos and inspiring folks on the side of the road, my race nearly ended. It has never happened to me before, but my right knee completely gave out. Out of nowhere! It completely buckled and I almost fell. I staggered over to the side of the road completely bewildered. What was going on? I didn’t know what to do, but to try to run again. So, I did. A few steps later it buckled again. Almost fell again. I tried to massage it, stretch it. It wasn’t muscular though. How do I fix this, I thought to myself. All I could do was keep trying and see if it would stop. Finally, after a few attempts, and some encouragement from the spectators I slowly began running again, careful, not wanting to fall. I guess it worked, because it didn’t happen again. Thinking back on it today, my only guess as to what the hell that was all about is that maybe it had something to do with my fall on that knee and leg a few weeks ago. Anyway, I was finally running again. Pretty confident that my knee wasn’t going to buckle again, I tried to pick up the pace. My knee issue wrecked my pace though on mile 11 and 12. 9:02 and 9:21, despite the starts and stops. I was determined to finish strong. Boylan Ave. was approaching, a tough uphill run before dipping back down into the center of the city for the finish. I managed a good showing on Boylan. Ran it strong. I really just tried to enjoy the last mile. Clapping for spectators, saying thank you. Winding my way to the finish mile 13 was completed in 8:32. With the finish line in view, I gave it one final push. I practically sprinted to the finish, not knowing if my knee would give out and send me flying through the finish line. I managed to stay on my feet, passing about 8 runners in the final few hundred feet. 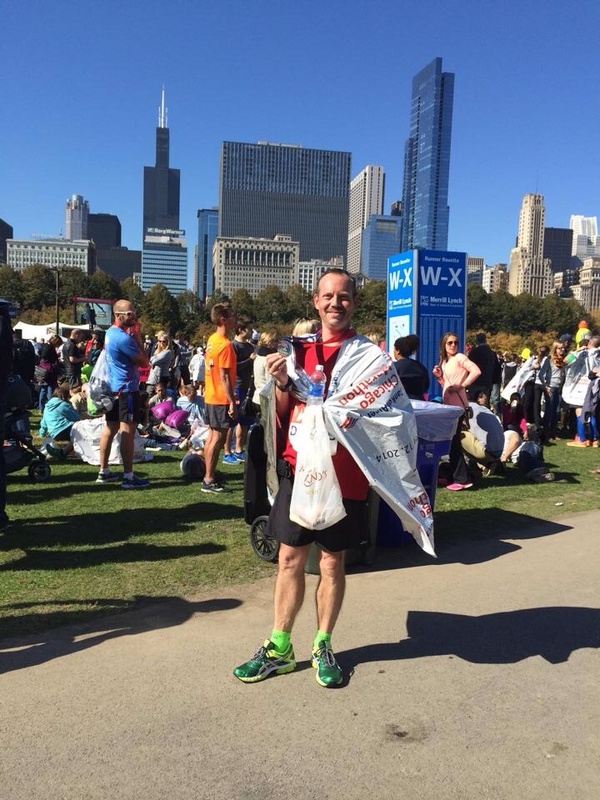 With a medal around my neck, my 26th Half marathon was over. I came close to my goal, even with my knee hampering the later part of my race. Finish time 1:47:46. Overall pace 8:14. Pretty happy with that! Water, Gatorade, bananas, pretzels, chocolate milk, I took my time walking though the finisher chute. Stopping now and then to rest in sunny spots. A guy from Jersey Mike’s handed me a mini turkey sub sandwich that really hit the spot. As I sat on the curb, I turned to snap a picture of the finish area looking back at the finish line. I decided to return to my car and grab a jacket before heading over to the Red Hat Amphitheater for the post race concert. It was a good time. It was nice to relax and take in some music before heading home. “Hey now, you’re a Rock Star!” Smash Mouth was the post race headliner. Results were posted last night. 5,599 finished the Half, and 952 finished the Full. My results- 502/5599 overall, 378/2213 gender, and 62/359 on my last day in the 40-44 Age Group. Pretty happy with my results! Now that today is my birthday, and I am officially 45, let’s see what kind of impact I can have in my new AG. 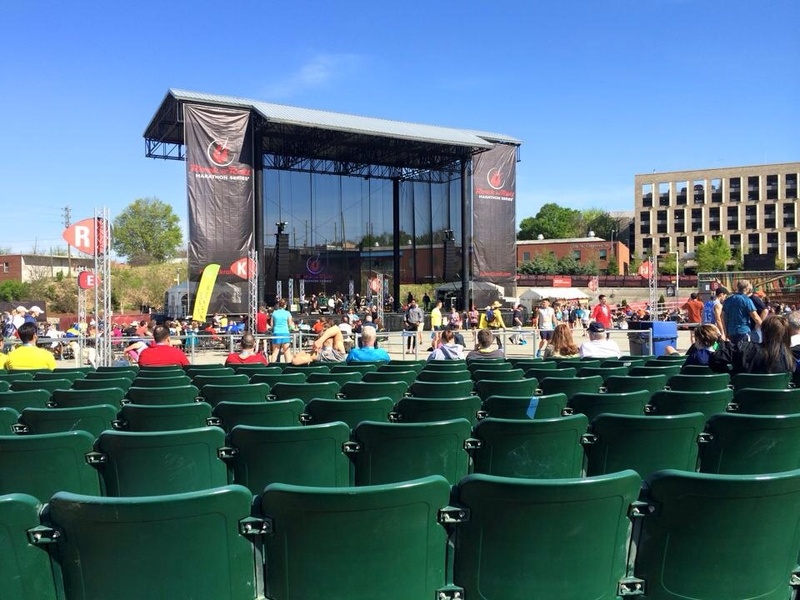 Thanks again, Rock ‘n’ Roll, the Raleigh event is amazing! Such a challenge, but so much fun! Great swag, too! Love the Cree Shimmer Wall on the medal.